Eighteenth Century Agrarian Business: Thanks, Martha. Martha Stewart Living had a great article on upholstery in the September issue. The online photo gallery, here, illustrates the basics of the upholstering process. The magazine article offers quite a bit more commentary on the pros and cons of reupholstering an older piece, as well as tips on identifying good-quality furniture. 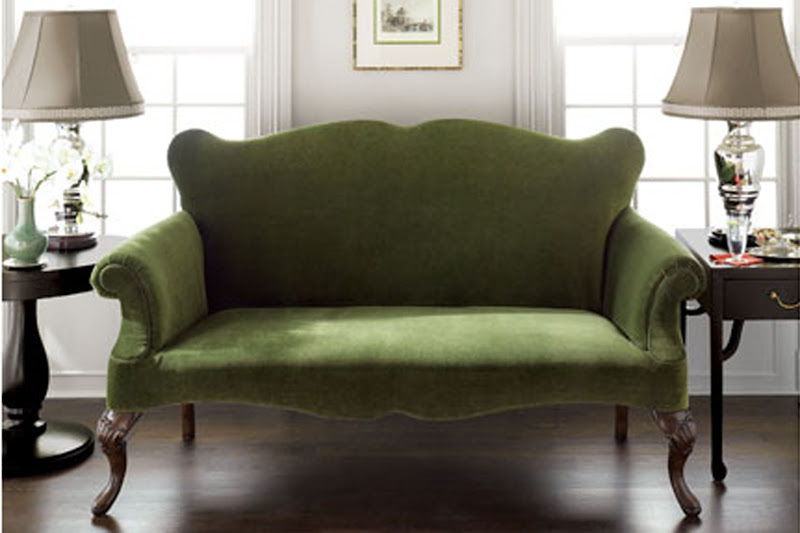 But the online gallery is informative, as well as sort of optimistic - seeing a polished, sleek sofa at its bare-framed inception makes upholstering seem more possible.